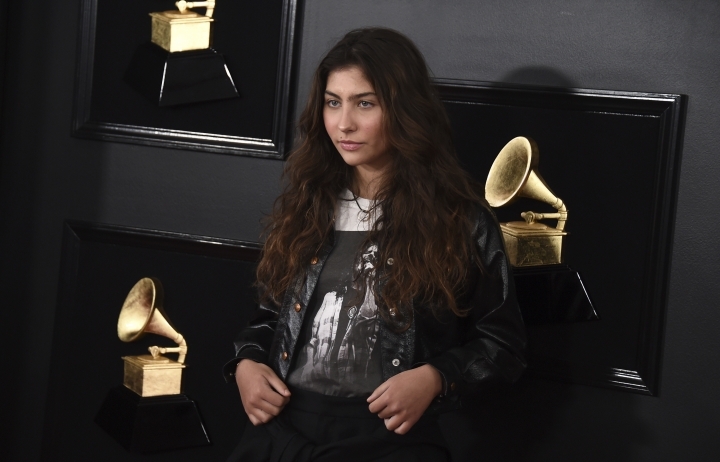 LOS ANGELES — The late Chris Cornell's daughter called her father's posthumous Grammy Award on Sunday a "bittersweet" moment for the family. 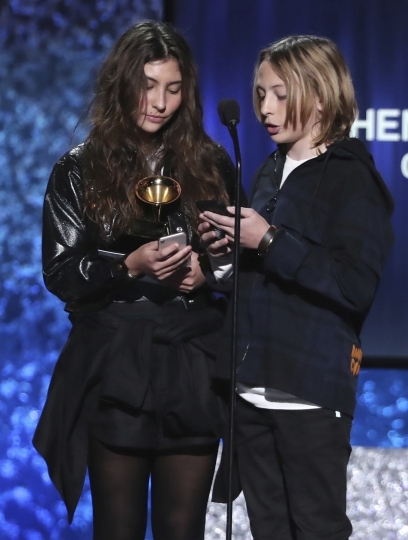 Cornell's daughter, Toni, and son, Christopher, accepted their father's trophy for best rock performance for his song "When Bad Does Good." The song was released as part of a posthumous album of unreleased music that Cornell's estate put out last year. The musician died at the age 52 in 2017. His death was ruled a suicide. 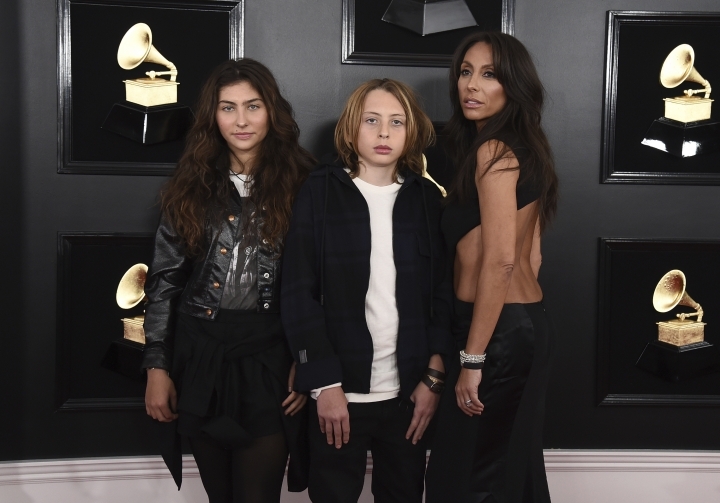 Toni Cornell held the award while her brother spoke at the Grammys pre-telecast ceremony, telling the audience "His voice was his vision and his music was his peace." She said backstage that she still misses her father "so much." "We saw him work so hard," she said. "He was always working on his music, and it was just his passion. It's really sad that he couldn't be here himself to accept this award for something that he was so proud of and work so hard on. We're so proud of him. It's just amazing. At the same time, it's bittersweet, you know." Cornell was a leader of the grunge movement with Seattle-based Soundgarden, finding early success with them. But he also succeeded with other projects, including Audioslave, Temple of the Dog as well as solo albums. Last month, members of Metallica and the Foo Fighters performed at Cornell's tribute concert at the Forum in Inglewood, California. The all-star lineup also included Miley Cyrus, Adam Levine, Brandi Carlile, Miguel, Chris Stapleton, Ryan Adams and Temple of the Dog. Jimmy Kimmel hosted most of the five-hour tribute concert that took the sold-out crowd through Cornell's career and catalog, with performances by members of his former bands Soundgarden and Audioslave. 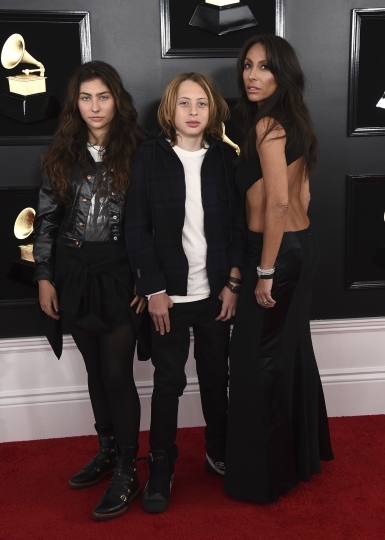 Toni and Christopher Cornell said the tribute was "amazing." "It showed who he was," Toni Cornell said. "People who didn't know him before know more about him now."